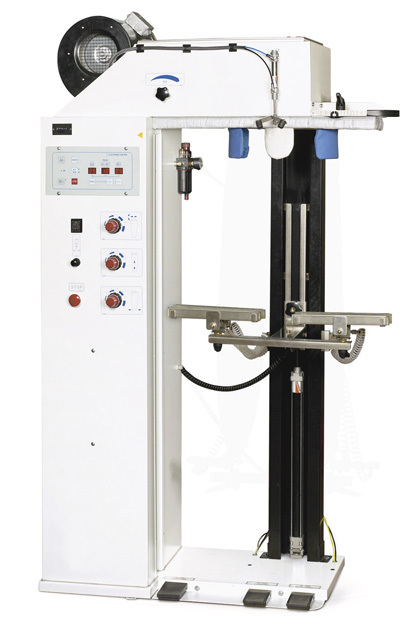 Model T-3000: Air operated trousers topper, for central steam and compressed air supplies. Encumbrance 1.115 x 630 x 1.950 mm. Overall dimensions 1.000 x 650 x 2.020 mm.